Enchanted yet? You will be. 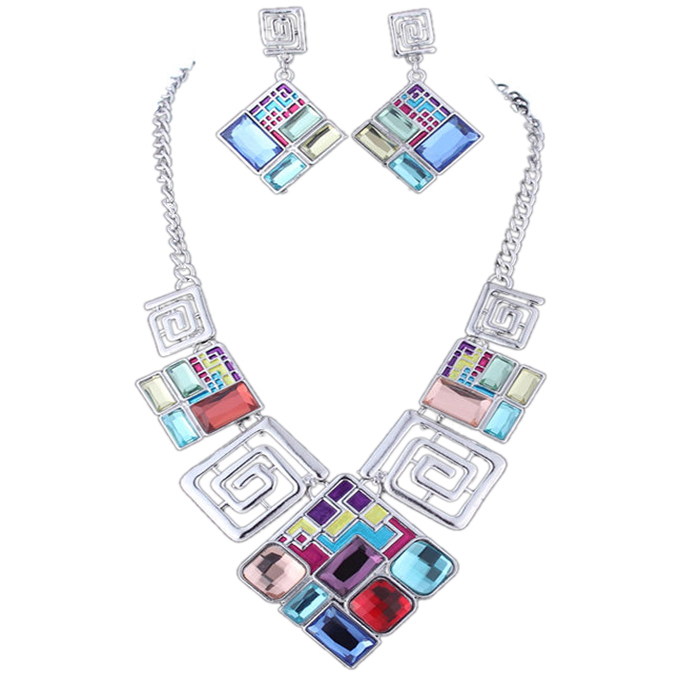 Lela Bib Necklace Set features light-catching multicoloured stones set in large square-shaped pendants. Matching drop earrings. We hope you enjoy shopping for online jewellery here with us today.